Now buy UC607 Ladies Classic Full Zip personalised or just plain in our fashion range. These Fleece ..
Now buy UC710 Mens Poplin personalised or just plain in our fashion range. These Half Sleeve Shirt a..
Now buy 932F Ladies Easy Care personalised or just plain in our fashion range. These Oxford Shirt ar..
Now buy 932M Long Sleeve Easy Care personalised or just plain in our fashion range. These Oxford Shi..
Now buy 933M Short Sleeve personalised or just plain in our fashion range. 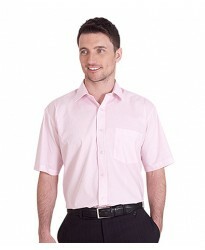 These Oxford Shirt are pa..
Now buy 919M Short Sleeve personalised or just plain in our fashion range. These Twill Roll Shirt ar..